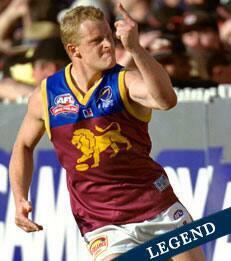 According to the great Leigh Matthews, there has been no more valuable person in football than Michael Voss. This glowing endorsement echoes the sentiments of many who claim that Voss embodied the full package – the playing ability, the leadership, the professionalism, the team-first attitude, and the will to win at all costs. But the Voss legacy extends much further. He was a champion on and off the field at a club where he spent 15 years and 289 games as a player after debuting as a 17-year-old schoolboy in 1992, and later was coach for five years. When searching for inspiration, his team-mates needed look no further than their Number 3 – who would always lead fearlessly from the front. It's what made him such a revered competitor from across the AFL community. He won almost every individual accolade in the game, headlined by five Club Best & Fairest awards and the 1996 Brownlow Medal. The only honour that escaped him was the Norm Smith Medal – but watch a replay of the 2002 AFL Grand Final and you'll soon realise that one should definitely be hanging proudly inside his trophy cabinet. However, it's his accomplishments as the entrusted leader of the most successful side in Club history that he most cherishes. 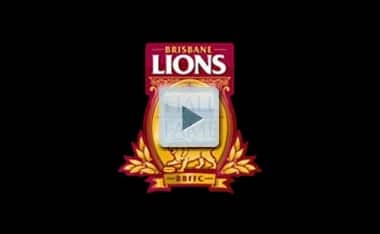 Voss skippered the Lions towards their famous three-peat of Premierships – and remains the longest-serving Captain in combined Club history after fulfilling the role for a full decade. But even the raw statistics – impressive as they are – don't do justice to the Voss phenomenon. Over and above his pure football capabilities, and a competitiveness the equal any in the game, he was a leader of men. On the field he had a remarkable capacity to lift his team when it was needed most, nurturing and fostering a team-first ethos of the highest order. Near enough was never good enough. And off the field he set a standard second to none for character, culture and class. Just as Kevin Murray and Haydn Bunton were legends of the Fitzroy Football Club, Michael Voss is a true legend of the Brisbane Bears / Lions.